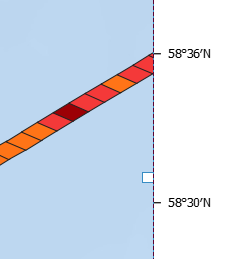 When using map composer in QGIS, there is the option to `Draw coordinates'. once selected, the coordinates are situated in the horizontal position (as seen below). Does anyone know how to align the coordinates so they are situated in a vertical position? Not the answer you're looking for? Browse other questions tagged qgis coordinates print-composer mapping or ask your own question. 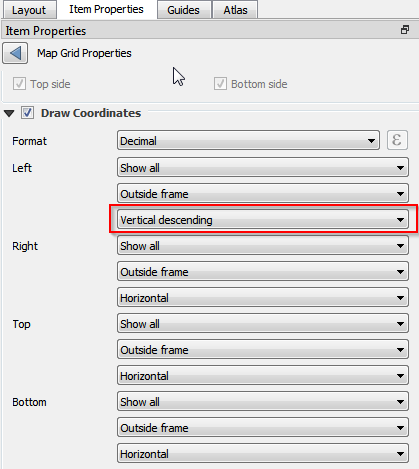 QGIS Generating Lat/Long Degree Grid in Composer? Why does Print composer draw wrong coordinates? How to design a custom form/table in QGIS Print composer?